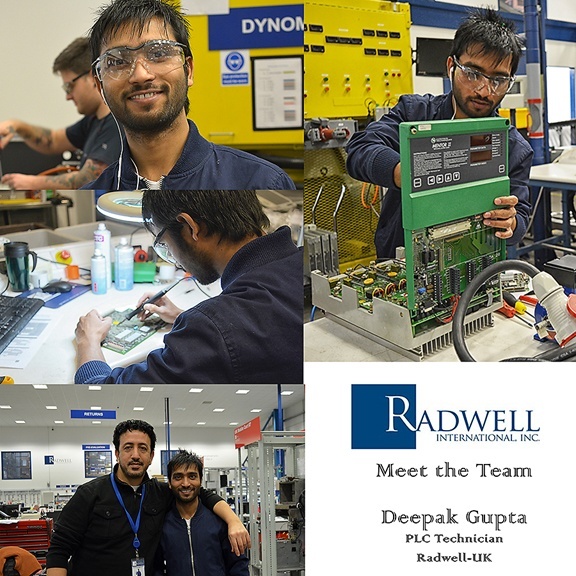 This week we’re highlighting Deepak Gupta, a PLC Technician at Radwell-UK in our MEET THE TEAM feature. If you were an animal, what kind of animal would you be and why? I would be a Bird, because I can fly and reach the sky. What TV show do you most identify with and why? I don’t watch TV shows as I prefer to watch news on various channels. I have a great interest in world news as it’s informative and I believe it’s an important tool in modern life. Where do you go or what do you do to relax and destress? I go to my office and do research to do something new, something unique, and something different in the field of electronics. This is because electronics is my passion.